You may have read the title and thought, Vegan Ribs? What could possibly be in Vegan Ribs and how can people make a feast out of it? Well, the fit picture below should give you a big clue, looks tasty doesn’t it? 14th Sept | 7pm |�10 Cable Street, E1 8JG. London. 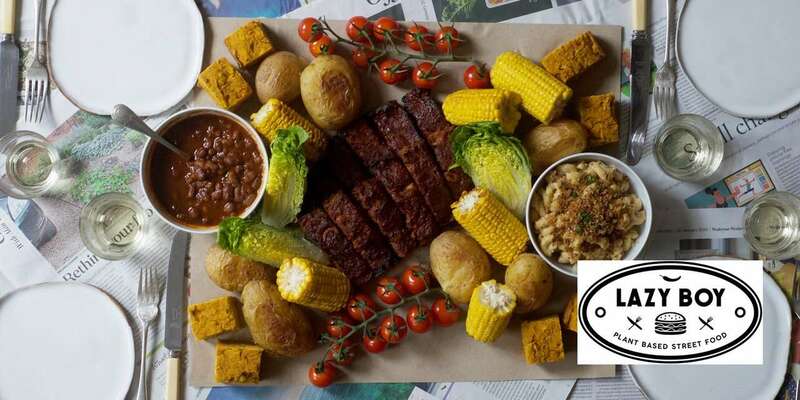 UK 10 Cable Street have teamed up with Lazy Boy�- a vegan pop-up who create delicious plant based street food. Which include the amazing Vegan ribs, mouth watering American comfort food dishes, yes you can get delicious Mac and Cheeze made from homemade cashew cheese sauce. Check it out this Friday for �25.50.